You think you’ve found that special someone whom you wish to spend a happy and harmonious life with. That’s all good considering a lot of ways to create a great bond between you two including that of both your money. Most often money is a tensed subject to discuss among couples and one survey found that 95% of married adults believe “financial responsibility” is important when considering a spouse – more than attractions and other traits. True or False? But whatever your answer is, it is important for couples, especially those planning to get married, to avoid these biggest mistakes couples make regarding their finances, and use them as a how-to guide to avoid the worst of your possible money problems. 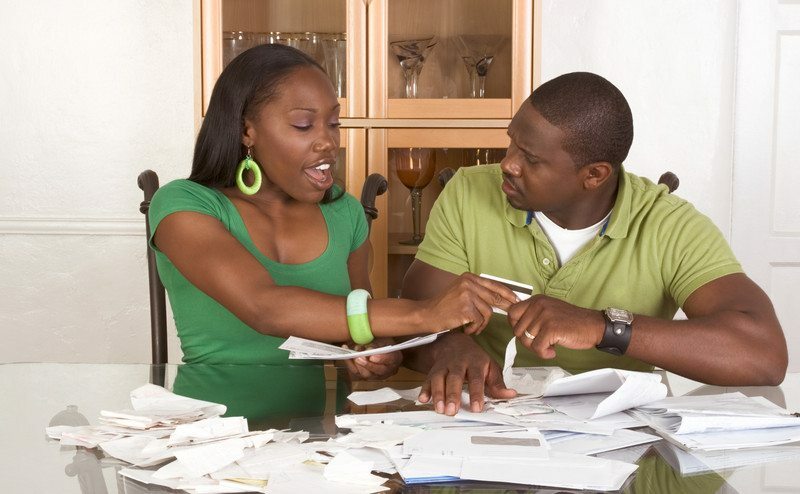 By discussing money in your relationship you will have a chance to be honest about the debts you’re bringing in, and learn about the ones your partner might have. Experts suggest that having the money discussion early in relationships is one of the best ways to create common savings goals. In this millennial world, it disapproving for only one partner to manage the finances when the couple are supposed to be teammates. If one spouse is devoting time to your collective finances, it means the other might have a much murkier view of what’s going on – and leave the money-managing person feeling resentful for taking on all of the workloads. Experts advise couples to have at the very least, a regular check-in meeting – ‘money date,’ where both of you go over your finances together, maybe once per month, to touch base about your financial decisions. Not only will this make you both know where your money is going, but it will prevent the pitfall of feeling like you’re asking your partner for permission to spend the money you earned. Why? this is a most logical and romantic thing to do, you might say. But experts warn that it shouldn’t be a decision to rush into by both partners so as not to complicate the relationship in the end. They advise that unless you’re both comfortable and trust each other enough, there’s no need to merge your accounts for the obvious reason of one spouse’s draining a mutual account, or worse, dividing assets in the event of a breakup or divorce. Some couples choose to keep everything separate, others keep their personal accounts but also create a joint account for household expenses, and others choose to create a completely joint account. You might wonder why this might bring a rift between couples. Experts say this is similar to stealing money from a company, while research has shown that millions of couples have kept financial accounts hidden from their spouses. Whether you’re paying child support for offspring you never mentioned, supporting a relative financially or you can’t get your spending habit under control, a committed relationship is no place to keep money secrets. This should be another agenda in every couples’ list of financial priorities. A survey has shown that more than 48 percent couples do not put money aside for rainy days such as car repair or hospital visit. Experts say that holiday can keep you from financial disaster and keep you from accumulating debt that plummets beyond recovery. Therefore to avoid that, agree with your partner on the best means to start building up an emergency savings fund. Since it’s a step by step deal, it doesn’t have to be a huge amount, but you’ll be thankful you took the time to pay yourself when trouble inevitably comes knocking.